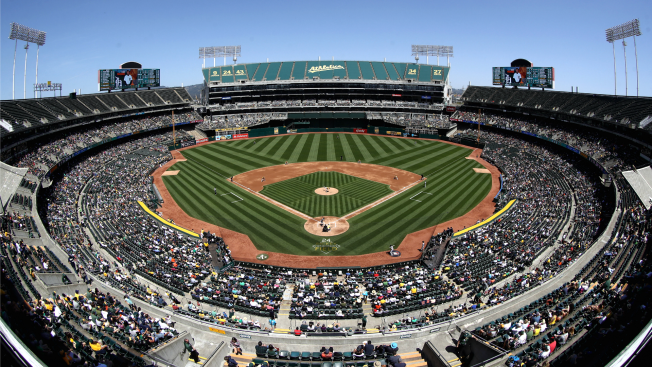 The Oakland A’s baseball team could soon call a new ballpark home. Leaders are considering three potential sites: the Oakland Coliseum, Howard Terminal on Market Street and the Peralta Community College District on E. 8th Street. Supporters speculate that the A's could be leaning toward the Howard Terminal location near Jack London Square, but the MLB team’s owners told NBC Bay Area that they are evaluating all their choices. It’s important, they said, to understand the needs of all the stakeholders, including the fans, who will have a chance Wednesday to meet A’s president Dave Kaval at the restaurant La Estrellita and weigh in on the new ballpark. If the A’s end up near Howard Terminal, public transportation would be an issue since BART does not go there. According to the transit agency, between 13 percent and 18 percent of fans use trains to get to games. They could continue to do so, but only if the A’s go with either of the other two sites. As far as the potential economic impact on Oakland, city officials say it’s too early to tell.